A California Highway Patrol cruiser. Photo by John Schreiber. 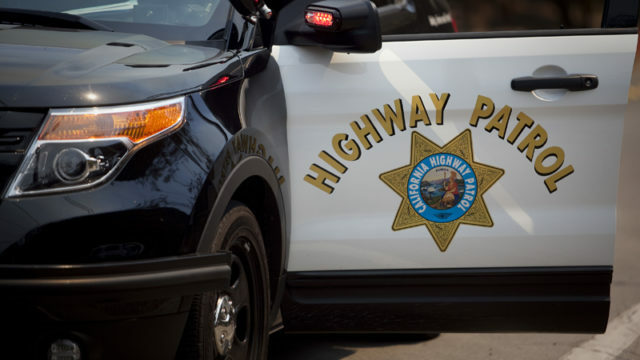 One person died Saturday when a vehicle pursued by California Highway Patrol officers left a road in Orange and burst into flames, authorities said. The pursuit began about 7:25 p.m. at the CHP office at 2031 East Santa Clara Ave. in Santa Ana, Orange police Lt. Mike Monjaraz said. The pursuit ended when the vehicle went off Orange Olive Road north of Riverdale Avenue near a railroad bridge and caught fire, he said. One person was found dead inside the vehicle, which appeared to be a van, Monjaraz said.